I have found these fifteen super foods or what some might call health supplements to be very healthy. NOTE: The information on this health website is opinion based except where noted. Always contact a licensed health professional BEFORE practicing or applying any health food or health supplements. Chlorella delivers energy and is loaded with micronutrients and antioxidants. These nutrients help reduce arterial stiffness – a problem commonly associated with high blood pressure. Moringa Leaves help reduce blood sugar and cholesterol and may also have antioxidant and anti-inflammatory effects and help protect against arsenic toxicity. Moringa leaves are known to be highly nutritious and should be be helpful to people who are lacking essential basic nutrients. 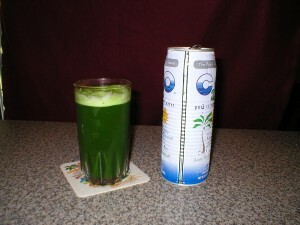 Spirulina is type of blue-green algae and may help the pineal gland cleanse. Spirulina contains a number of nutrients, including B vitamins, beta-carotene, and vitamin E. High in protein and in the vegan world it seems to be used as a source of protein. Sspirulina is known to contain antioxidants, minerals, chlorophyll, and phycocyanobilin which may be nuro protective. Mint has one of the highest antioxidant capacities of any food. Mint contains menthol, a natural aromatic decongestant that helps to break up phlegm and mucus and help and may also help with Irritable bowel syndrome (IBS). Menthol also has a cooling effect and can help relieve a sore throat, best when combined with a natural tea. Beets are high in lipoic acid, one of the many antioxidants that are believed to help prevent your cells from damage caused by aging. Some studies show that beets help with the healing of nerve damage that causes pain and numbness in the hands and feet of people with diabetes. Other research suggests that beets may help lower your blood cholesterol and help with anti aging. Green Teas are known to be associated with a number of health benefits, from increased fat burning to improved insulin sensitivity (, ). Green teas may also contain catechins and polyphenols. Catechins and polyphenols can act as antioxidants to prevent cell damage, reduce inflammation and protect the health of your heart. Garlic may be one of the oldest “health Foods”. Recently, research has confirmed its potent medicinal properties and found that garlic can even help improve heart health. This is because of the presence of a compound called allicin, which is believed to have many therapeutic effects. Garlic I find, like most health foods, is best taken the fresher the better. NOTE: The information on this health website is opinion based except where noted. Always contact a licensed health professional BEFORE applying or practicing. 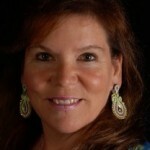 HealthyMartin.com is designed to assist you in finding dentists and alternative, organic & holistic health, fitness and sports professionals in the Treasure Coast Florida areas of Martin County, Palm Beach County, Saint Lucie County and Indian River County. “Healthy Martin, working together for better health choices for you, your family and friends”. Due to the large amount of healthy chlorophyll that is found in wheatgrass one of the most common side effects is nausea due to detoxification, which is usually healthy discharge of toxins in your body. Due to the detoxification, headaches and dizziness may also accompany the nausea, but over time the symptoms will fade as the body detoxes and rids itself of toxins. ALSO: nausea may also be caused by the taste of the juice itself. Wheatgrass Side Effects May Be Reduced By Diluting Wheatgrass With Water or a Healthy Organic Low Acidic Juice. Another common side effect for some when using wheatgrass is diarrhea (for most folks your body is not accustomed to highly potent healthy nutrients). This wheatgrass symptom should pass after regular use as your body becomes more healthy. A wheatgrass suggestion; you may want to start slowly using small amounts such as one ounce of juiced wheatgrass or less per serving no more than twice a day. Let your body slowly build up your body’s healthy reaction and tolerance to the drink. Wheatgrass is a very healthy positive and nutrient potent and unfortunately many people (especially adults) are not able to digest highly rich nutrient wheatgrass in the beginning intake because their body has been unhealthily trained to digest chemicals and highly processed foods. Start slowly and work your way up to two ounces in the morning and two ounces in the afternoon. HealthyMartin.com is designed to assist you in finding medical doctors, dentists and alternative, organic & holistic health, fitness and sports professionals in the Treasure Coast Florida areas of Martin County, Palm Beach County, Saint Lucie County and Indian River County. “Healthy Martin, working together for better health choices for you, your family and friends”. Human bodies dissipate heat by varying the rate and depth of blood circulation, by losing water through the skin and sweat glands,and as a last resort—by panting, when blood is heated above 98.6 degrees. The heart begins to pump more blood, blood vessels dilate to accommodate the increased flow, and the bundles of tiny capillaries threading through the upper layers of skin are put into operation. The body’s blood is circulated closer to the skin’s surface, and excess heat drains off into the cooler atmosphere. At the same time, water diffuses through the skin as perspiration. The skin handles about 90 percent of the body’s heat dissipating function. Do not over do it in the summer heat. Sweating, by itself, does nothing to cool the body, unless the water is removed by evaporation, and high relative humidity slows evaporation. The evaporation process itself works this way: the heat energy required to evaporate the sweat is extracted from the body, thereby cooling it. Under conditions of high temperature (above 90 degrees) and high relative humidity, the body is doing everything it can to maintain 98.6 degrees inside. The heart is pumping a lot of blood through dilated circulatory vessels; the sweat glands are pouring liquid, including essential dissolved chemicals, like sodium and chloride onto the surface of the skin. One of the biggest weather hazards that affects our region during the summer is heat. Many people do not realize how deadly heat can be. In contrast to the visible, destructive, and violent nature of floods and tornadoes, heat is a “silent killer”. 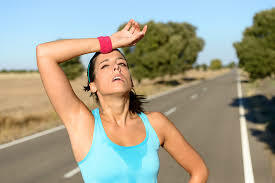 The Center for Disease Control (CDC) reports that an average of 350 people die each year due to the effects of heat. A heat wave is a period of excessive heat lasting 2 days or more that can lead to illnesses in people with prolonged exposure to these conditions. High humidity, which often accompanies heat in our region, can make the effects of heat even more harmful. afternoon, heat stress on the body does have a cumulative effect. degrees, a Heat Advisory will be issued. Whenever the heat index is forecast to be at least 110 degrees for at least 2 days, an Excessive Heat Warning will be issued. body “feels” or what we call the Heat Index value. These values are for shady locations only. Exposure to full sunshine can increase heat index values by up to 15°F. Also, strong winds, particularly with very hot, dry air, can be extremely hazardous as the wind adds heat to the body. The Heat Index Chart is below. coolest time of the day. Individuals at risk should stay in the coolest available place, not necessarily indoors. – Dress for summer. Lightweight light-colored clothing reflects heat and sunlight, and helps your body maintain normal temperatures. – Cover all exposed skin with a high SPF sun screen, and wear a wide brimmed hat to protect your face and head. – Drink plenty of water or other non-alcoholic fluids. Drink plenty of fluids even if you don’t feel thirsty. Avoid coffee and tea because they contain caffeine, which increases water loss through urination. Alcoholic drinks also dehydrate by increasing urination. Soda and fruit juices contain more sugar than needed, so they aren’t absorbed as easily or quickly as water or commercial sports drinks. Eat frequent small, lower protein meals (fruits, vegetables & salads). – Spend more time in air conditioned places. Air conditioning in homes and other buildings markedly reduces danger from the heat. If you cannot afford an air conditioner, spending some time each day (during hot weather) in an air conditioned environment affords some protection. Keep your electric fans running. – Don’t get too much sun. Sunburn makes the job of heat dissipation that much more difficult. – Check on the elderly, infants, young children and people with chronic health problems or disabilities. They are more vulnerable to the effects of heat. – Keep pets indoors, or provide them with shade and plenty of cool water. Refill their water bowls frequently. – Do not leave pets, or anyone else, in a closed, parked vehicle. HOW DO YOU BUY A BIKE THAT’S RIGHT FOR YOU? Contributing journalist Liz Perry sits down with bicycle professional and ProCycles owner John Silvia to ask about the best bicycle fit. Q. If I were to come into ProCycles, how would we get started? Based on your individual needs, I will make suggestions on bikes. Q. How do I select the bike that is best for me? A. Selecting your new bicycle is a fun process! We will size and measure you. I will help you each step of the way. I will show you several models that may be what you are looking for. I will explain to you the pluses and minuses of each bike. Q. Who are your customers that you cater to? A. Our clients range from first timers to racing experts, and from young teens to folks in their 80’s. Cycling is a great way to lose weight and gain fitness! Q. What if I have questions later? A. After you cycle off with your new bike we provide ‘free consulting’. We will spend time helping you with riding plans, techniques, and maps! You can check out ProCycles Facebook page for rides, community events and clinics. A. Stop by our ProCycles Shop on U.S. 1 or call me at 772.692.8476. Thanks John – I can’t wait to get started! John Silvia is a professional and experienced cyclist and advisor with 27 years experience. He is the owner of ProCycles on U.S. 1 in Stuart. Unrefined virgin coconut oil is now available in many health food stores. I always try to purchase coconut oil that is not chemically treated and is trans-fat free. The main saturated fat in virgin coconut oil is lauric acid, a medium-chain fatty acid that can help increase levels of HDL (good cholesterol). Lauric acid, as a component of triglycerides, comprises about half of the fatty acid content in coconut oil, laurel oil, and palm kernel oil (not to be confused with palm oil). Otherwise, it is relatively uncommon. It is also found in human breast milk (6.2% of total fat), cow’s milk, and goat’s milk. Based on the above findings, it would make sense to use coconut oil in meal preparations instead of canola oil. How can the ownership of a policy be changed? To change the ownership of a policy, the current policy owner must fill out a Transfer of Ownership/Designation of Successor Owner form and return it to the Insurance Service Center. This is the person or other party designated to receive life insurance or annuity proceeds upon the death of the insured. The beneficiary is named when a policy is taken out and can be changed at the request of the policy owner. What does an annuity do? While life insurance provides financial protection against dying too soon, annuities provide financial protection against living too long. They do this by guaranteeing a stream of income for life. Some annuities also use the power of tax deferral — earnings aren’t taxed until they’re withdrawn — so your money can grow faster. What is the surrender period of the annuity? As with any annuity, make sure that the surrender periods are consistent with your retirement timelines.. Living in south Florida offers many ways to maintain your mental and physical well-being. Playing tennis is a great way thousands of people have found to do this. Tennis is the ideal sport for any age and fitness level as the game can be picked up at any time because it is low impact and doesn’t depend on the player’s strength. Playing tennis gets your mind and body moving. It requires the cooperation of the whole body – feet get you into the right position, arms and hands position the racquet to make contact with the ball and the torso and legs provide the power to send the ball flying over the net. All these factors come together every time you hit the tennis ball making tennis a real workout – running, swinging, reaching and pivoting. Tennis also requires your brain to be creative and involves planning, tactical thinking, agility and the coordination of many different parts of the body. Tennis is truly a whole body sport. 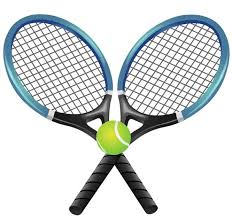 Many health benefits can be obtained through playing tennis including decreasing the risk of heart attack. By lowering blood pressure, maintaining a healthy body weight, lowering cholesterol, reducing stress and being physically active one reduces the risk of heart disease. Why not combine healthy habits with meeting people, being active and having fun playing tennis? 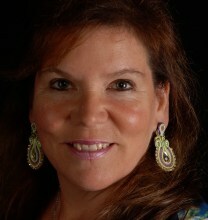 About the author, Jessica Agee-Bradshaw lives in Palm City FL and is the USTA Local League Contractor for Region 6 – Indian River/Martin/St. Lucie Counties. She began playing tennis in 2001 in Atlanta where she captained teams for ALTA women’s leagues and USTA mixed doubles leagues and involved with Pre-Collegiate tennis teams. She was the Secretary for the Tri-County Women’s Tennis Association and afterwards President. Please feel free to contact Jessica through the above website or email; jessica.ustatc6@aol.com regarding local tennis opportunities. Meat, dairy, and fish generally have higher quantities of protein but many plant based sources contain decent amounts of protein as well, and some even offer complete protein and contain all the amino acids your body needs to function properly. 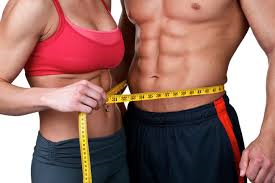 The USDA suggests men aim for 56 grams of protein a day and women go for 46 grams. So whether you’re vegetarian or just trying to cut down on your meat intake, check out these delicious options for protein that are plant-based. Nutritious and full of energy, buckwheat is available throughout the year and can be served as an alternative to rice or made into porridge. Buckwheat is not a cereal grain, it is actually a fruit seed that is related to rhubarb and sorrel making it a suitable substitute for grains for people who are sensitive to wheat or other grains that contain protein glutens. Contains amounts of all nine essential amino acids, as well as plenty of magnesium, zinc, iron, and calcium. They’re also a rare vegan source of essential fatty acids, like omega-3s, which can help fight depression. A food so healthy that NASA hopes we’ll grow it on interplanetary space flights, quinoa looks a lot like couscous, but it’s way more nutritious. Full of fiber, iron, magnesium, and manganese, quinoa is a terrific substitute for rice and it’s versatile enough to make muffins, fritters, cookies, and breakfast casseroles. Filling and high in fiber, it also offers iron and magnesium. Add quinoa to vegetarian chili, or serve with fruit, nuts, and a little honey or pure maple syrup as a hot breakfast treat. ASK LIZ? – Weight Loss & Diabetes! Q: Is it true that 2/3 of American are overweight? A. Yes, Right now almost 2/3 of Americans are overweight! By 2030 more than half our population may be clinically obese. Q. Are our children and grandchildren at risk? A. Yes. Childhood obesity has tripled and most children will grow up to be obese as well. The United States may be in the midst of raising the first generation since our nation’s founding that will have a shorter predicted life span than that of the previous one. Q. Does exercise play a role in weight loss? A. Yes, but not enough. The food industry blames American obesity on inactivity, claiming Americans don’t do enough exercise. It may be true that Americans don’t do enough exercise, but that in itself does not explain or justify the amount of overweight Americans, “the increase of obesity can be explained mostly by overconsumption of calories alone”. Exercise can prevent weight gain but you would have to do a lot of it. Studies actually show that Americans have increased the amount of exercise they do, yet the amount of overweight Americans has significantly increased. Q. Why don’t we lose more weight from exercise? A. Part of it is that we don’t get enough. A 1% decrease in BMI nationwide would prevent thousands of cases of diabetes alone. People tend to overestimate the amount of calories that are burned from exercise. Q. Does sexual activity cause weight loss? A. Yes, but not enough. The average bout of sexual activity only lasts about 6 minutes, so a young man may burn 21 calories, which may burn 1 french fry worth of food intake. Q. IS exercise good for us? A. Absolutely, yes – getting your heart rate up is important to the health of your body. When we move, our blood moves, and it keeps what is known as our endothelium healthy. A healthy endothelium allows our body’s own natural pharmacy to heal itself in most cases. Q. So, are you saying that it’s important to exercise, but one must cut calories to lose weight? A. Yes, studies show that obesity in the U.S. is primarily from consuming too many calories. In the 1980’s major food companies began to replace sugar with high fructose corn syrup. This is a problem because you eat and you don’t get full, even though you are consuming beaucoup calories! Q. What kind of food contains high fructose corn syrup? A. Just about everything! It seems nearly everything contains high fructose corn syrup including tomato sauce, salad dressing, soda, many sports drinks, breads, breakfast cereals, ketchup, miracle whip, cough syrups, crackers, some yogurts, ice cream, cookies, cakes and much, much more. You must read the food labels. Try to buy as much whole food as you can. When you enter a grocery store, it’s best to shop for most of your foods on the perimeter of the store. Here you will find whole food nutrition. As a general rule most grocery stores put processed foods on the inside isles. Q. Are plant based diets good for diabetes? A. Yes – there is a 78% lower prevalence of diabetes when eating a plant-based diet. This is based on a study of 89,000 people for over 50 years. 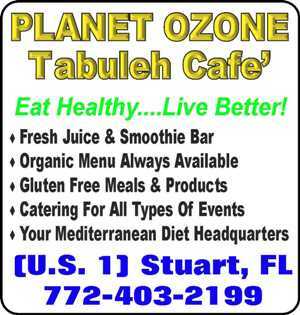 Is “Juice Plus” safe for a diabetic? A. Yes – “Juice Plus” has been tested and scrutinized by Yale Medical School and other top academic and government sources worldwide. “Juice Plus” contains fruits and vegetables and is good to take daily instead of a multivitamin. Although “Juice Plus” has fruit in it, the sugar has been extracted. It is safe for a diabetic. ASK LIZ? Let’s Go Nuts! Q: Are Brazil Nuts good for me? A. Yes, a single serving of Brazil Nuts may bring cholesterol levels of LDL and HDL down faster than statin drugs and keep cholesterol down even a month later after that single ingestion of just 4 nuts. Eat only 4 per month. More is NOT better. Q. How long after you ingest the Brazil Nuts does your cholesterol go down? A. Just 9 hours after eating the serving of just 4 Brazil Nuts, cholesterol went down an average of 20 points on the 10 individuals in the study and stayed down for over 30 days. Statin drugs usually take 4 days. Try It! Q. OK, which nuts fight cancer better? A. Within hours the blood of those fed walnuts is able to suppress the growth of breast cancer cells in a petri dish. Walnuts help to fight against cancer, NOT ONLY BREAST CANCER – ALL CANCERS. This study was done at Penn State. Q. Do walnuts help protect us in other ways? A. Studies show that consumption of walnuts improves endothelium function, along with healthy eating. Just eat about an ounce of walnuts a day. Q. 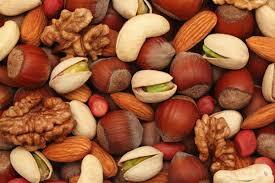 Which nuts might work best to fight cancer? A. Walnuts and pecans took the first place ribbon, with the bronze going to peanuts! Studies showed just eating two cups of nuts per week can help prevent pancreatic cancer. Q. Which fruits work best to prevent cancer? A. Cranberries and lemon took the titles. Q. What foods help prevent against fibrocystic breast disease? A. Featured data from the Harvard Nurses Study shows that early nut consumption, by those eating more peanuts, nuts, beans, lentil, soybeans or corn, including those folks with a family history, are less likely to develop breast cancer.